Scrapbooker, Cardmaker, and Paper Crafter Extraordinaire! Here is another artsy project that we made at the CTMH annual convention this past June. 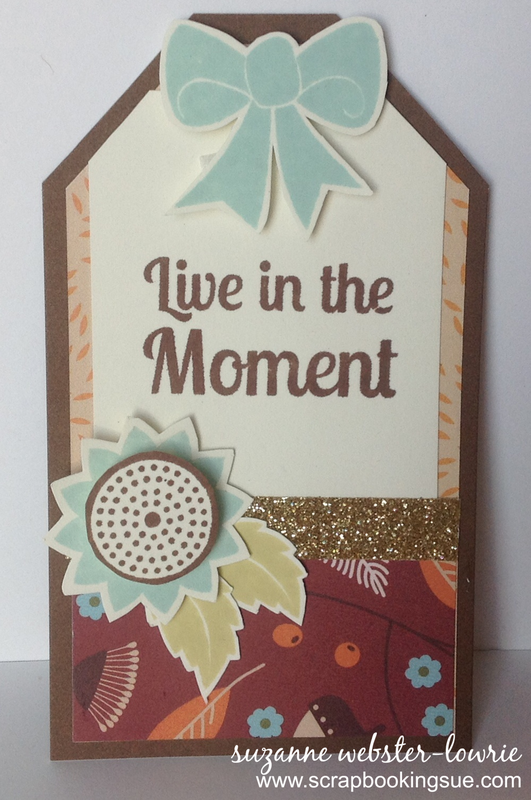 This cute little tag was made with the Pathfinding Paper Packet and the “Lifetime of Happiness” stamp set. This tag was super easy to put together since the tag itself was already cut from the Cricut Art Philosophy cartridge. The bow and flower petals were stamped with Glacier ink, the flower center and sentiment were stamped with Chocolate ink, and the leaves were stamped with Flaxen ink. A piece of Gold Shimmer Trim was added for some sparkle! I wanted to get a picture showing all of the layers of this tag. The foam tape popped the bow, flower leaves, and flower center off of the papers separately, giving it a 3-D look. 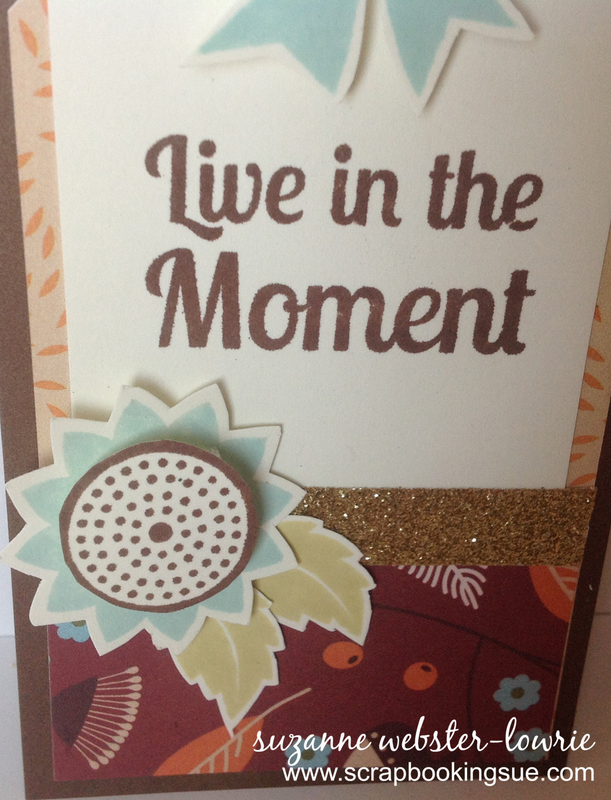 Although it was quick and easy to make, the dimension gives it a dramatic look! Copyright © 2014-2018 Suzanne Webster-Lowrie.